It's your last opportunity to see the Emily portrait as she bids farewell to Brontë Museum after a three month loan. The Parsonage will be sad to see the return of the rare and iconic portrait of Emily Brontë painted by her brother Branwell and on loan from the National Portrait Gallery in London. It has been on display at the museum as part of the 2008 exhibition ‘No Coward Soul’ celebrating the life and work of Emily Brontë, and is due to return to its permanent London location on October 7th 2008. 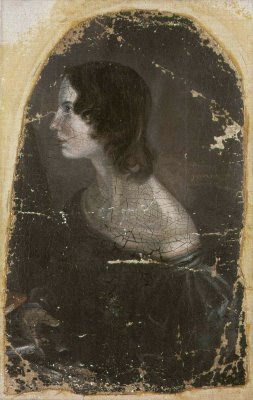 Only two portraits of Emily Brontë are known to have survived, both painted by her brother Branwell and they are owned by the National Portrait Gallery. Due to the rare nature, poor condition and significance of these pictures, they very seldom leave the capital city. However, this summer the Parsonage has been fortunate enough to have been able to display one of them. Objects owned by Emily, her manuscripts and her artwork are extremely rare. Unlike her sister Charlotte, she did not achieve literary fame in her own lifetime; therefore objects belonging to her were rarely saved. The ‘No Coward Soul’ exhibition runs to the end of the year. Since its inception a couple of years ago, the Brussels Brontë Group (the Belgian and Dutch branch of the Society) has concentrated mainly on Charlotte Brontë's relationship with Brussels, organising an annual weekend of events in honour of her birthday, readings from Villette, walks around places mentioned in both her Brussels novels and talks on the Pensionnat Heger featured in those novels. So we felt it was time we turned our attention to the other Brontë who spent time in Brussels. The year 2008-09 will therefore largely be devoted to Emily. The year's events will kick off with a talk by Patsy Stoneman on Saturday 18 October called 'What Everyone Knows about Wuthering Heights: the novel and its adaptations', illustrated with film clips. She will examine the assumption that even people who haven't read Wuthering Heights think they know what it is "about", mostly from films. She will compare some extracts from film adaptations of the novel (e.g. the 1939 film with Laurence Olivier, the 1970 film with Timothy Dalton and the 1991 one with Ralph Fiennes, as well as the Bernard Hermann opera and the 1991 musical) with the corresponding passages from the novel, showing for example that the films give us answers to what in the novel remain questions. The talk will be held in one of the Brussels Universities, the Facultés Universitaires Saint-Louis, which has enthusiastically offered to host our events and some of whose English Literature students will attend the talk. Our 19th century reading group has included Wuthering Heights on its list for this year to tie in with the talk and with that to be given by Stevie Davies as part of our Brontë weekend on 25-26 April 2009. Stevie Davies will speak about Emily Brontë and the Mother World, exploring themes in Wuthering Heights which she has discussed in Emily Brontë: Heretic and other works. Brontë Society members from outside the Low Countries are always welcome to join us for our events. On Saturday 11 October at 6.30pm in St Margaret’s Church Hall in Ilkley, there will be a (free) talk by Ian M Emberson entitled Three Quartets: the Rossettis, the Mendelssohns and the Brontës. It is an event in the Ilkley Literature Festival. 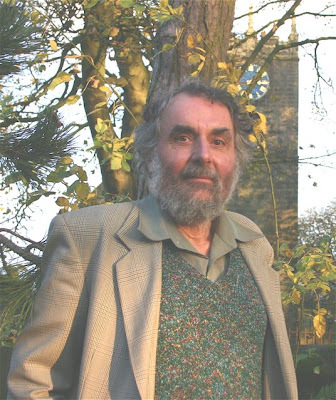 Ian is a writer, artist and former music-librarian who is the author of one book and many articles about the Brontës. The talk will be brilliant, I know, because I heard a version of it a while ago in the Parsonage cellar. He focuses on the childhoods of three gifted families, discussing how this background influenced their later achievements. In each case there are four exceptional children, slightly apart from their immediate surroundings, yet ultimately blending different cultures in their mature creative activities. The talk is the result of extensive research: all three of the significant ancestors of the families were exiles in some way. For example Moses Mendelssohn, grandfather of Felix, was a partner in a silk firm in Berlin at the time of Frederick the Great and a writer on the theme of Immortality of the Soul, who achieved the status of ‘protected Jew’, which made a big difference at a time when Jews were subject to frequent restrictions and humiliations. Gabriel Rossetti was a political agitator and scholar who sought asylum in England, where he taught Italian at London University, and of course Patrick Brontë escaped a life of poverty in Ireland to go to Cambridge. All three brought something beautiful, fresh and new from the outside to their country of settlement. Best wishes and good luck to Karin Quint, who is in charge of a new Brontë website based in the Netherlands. The website is here. Over 4000 miles away from where it was first written, an important Charlotte Brontë letter to her publisher William Smith Williams has been bought by the Brontë Parsonage Museum with financial help from a grant given by the MLA and V&A Purchase Grant Fund. It has just been put on display. Written at a significant point in her life, the letter, signed in the pseudonym ‘C. Bell’, discusses reviews of her recently published novel Jane Eyre and also makes reference to the second edition. Written in Haworth just three months after the first publication of Jane Eyre on 13 January 1848, the letter was purchased over seventy years later by an American Brontë Society member visiting England and it was taken back to the USA when she returned. It was inherited from her grandmother by Patti Engels of California, who sold it to the Brontë Parsonage Museum just a few weeks ago. For most of its time in the USA, the whereabouts of the letter remained unknown. Collections Manager Ann Dinsdale commented: “Patti Engels did not want the letter to be sold in the United States. She was very keen that the Parsonage should have it. “Now it has returned to where it was written. Charlotte relied on letters from Mr Williams after the loss of her sisters. He was the first person in the publishing world to spot her potential as a novelist."